North who? 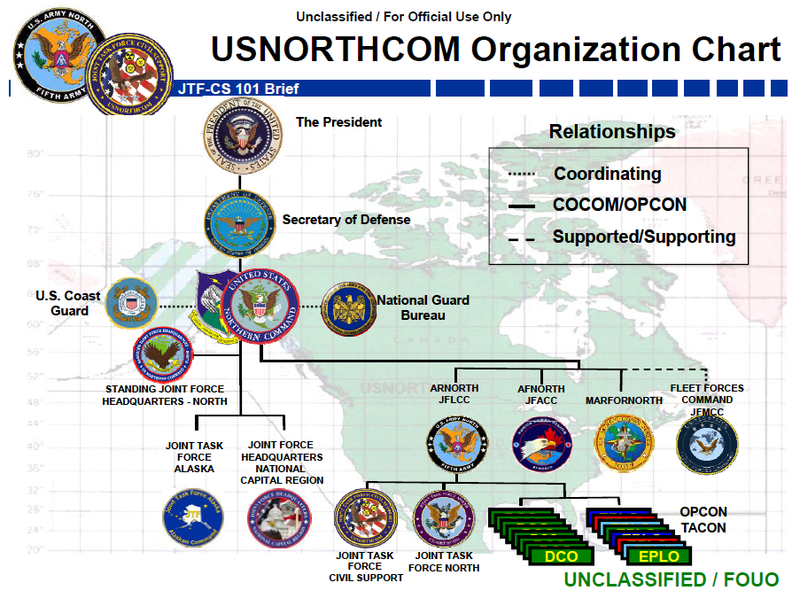 NORTHCOM. “Created in the immediate aftermath of 9/11, U.S. Northern Command (NORTHCOM) is charged with responsibility for overall military defense of the U.S. homeland and defense support of civil authorities (DSCA).” Those simple words belie the potential for incomprehensible and inconceivable excess. But, I’m getting ahead of myself. Therefore, herein the problems lie. Problems that are glaringly obvious to those of us in the business of constitutional conversance, know exactly what these issues convey and connote. But those are just a few of the issues addressed. And thus, this podcast. This is MRT. Mitochondrial Replacement Therapy. And believe you me, the voices will rise in objection with nary a clue as to what this even envisages or implies. And that’s the theme of today’s discourse. It works like this: I don’t like you or the main proponent of an idea who’s been attached and tethered to an idea. Or I will refer to you as a Truther, Birther, Deather, Climate Change Denier and now a Vaxxer. Or anti-Vaxxer. Or I’ll dredge up Jenny McCarthy as an example of the lunacy of the idea. 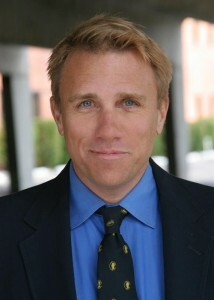 Funny, Bobby Kennedy Jr.’s a different story. Anyhoo. But that’s it; you’re a loon. Insane. And then you’ll meet the folks who opine loudly yet have no idea of what the science involves or the like. This goes back to the Scopes Trial in 1925, where people were up in arms over Darwinian Mechanics and evolution and natural selection despite knowing nothing of how it even works. Be chary, Mary. You’re probably not a physician or immunologist or autism expert. But I am an expert in civil liberties and how they devolve. And, by the by, I addressed this very topic of MRT a year ago. See infra. Can you say prescient? Vatic? Pythonic? And relevant? Enjoy. Oh, really? How much say do you have over your children’s health? If you fear that vaccines cause autism, if you believe that certain drugs affect our child negatively, right or wrong, what power do you have? That’s the issue. Not Chris Christie or Rand Paul. Those aren’t the issues. The issue, as I explain herein, is your child. The issue has been personalized beyond all reason. The message is the same. The refrain never changes. The issue is whether you as a parent, who may believe that a vaccine as tested is dangerous and should be avoided, do you have the right to say no? I’m not a physician or an immunologist and have studied not autism and the like, but I will tell you anecdotally that virtually every parent I meet or know seems to have a child on psychmeds or who suffers from ADD, ADDHD or autism. I’m not exaggerating, this isn’t hyperbole, it’s true. And that in no wise means that vaccines are the reason, but as a parent aren’t you and should you be able to decide? Without being called a lunatic, that is. Argot. An anti-vaxxer is a derogatory slang term for an anti-vaccinationist or one who opposes vaccinations. They join the list of truthers, birthers, deathers and climate change deniers as the latest crop of paranoid, baseless, tinfoil hat conspiracy theory loons. It’s the latest attempt to demonize and ridicule an entire group and class of individuals. This is the anti-vaxxer message. In a nutshell, this is their position. 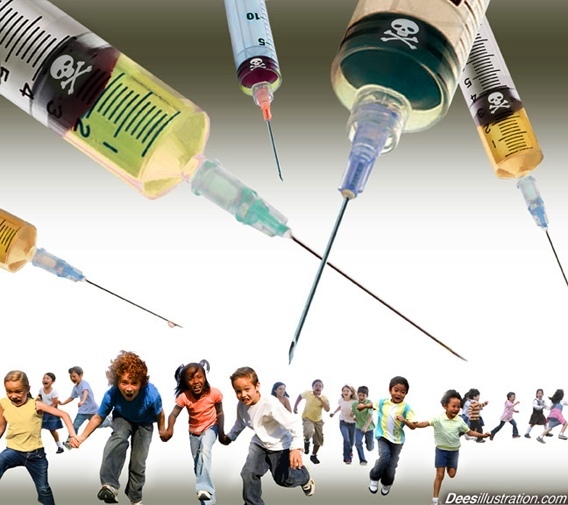 That kids are being forced to endure a host of untested, thimerosal and mercury-tainted poisons that cause or are linked to autism and a host of behavioral disorders. That it’s all a part of a grand new world order, globalist, UN-based, psychotic eugenic Malthusian nightmare to sterilize, castrate, lobotomize depopulate a sheeple society. Bill Gates is its master and your children are his slaves. And do you think that the autism pandemic is coincidental? Wake up! The sheer number and frequency of vaccines are unbelievable and if you can’t see that, you’re nuts. Medicine and pharmacology have made mistakes throughout history. can you say thalidomide? Lobotomies were once the rage. And must I remind you that Ignaz Semmelweis, the 19th century Hungarian physician, thought it peachy for doctors to wash their hands in obstetrical clinics. They thought he was a kook! Wake up! The vaxxer message. Do you want polio and smallpox again? Fine. Ask the kid on the left what he thinks about vaccines. So if you don’t care to join the 21st century, then move to a desert island. There’s nothing wrong with vaccines and if there was, the government would stop it. What are you, some conspiracy theory lunatic? You think the CDC is a conspiracy? My pediatrician, whom I trust, knows what’s best for my kids and his kids and she wouldn’t suggest some poison for her own kids if here was a reasonable risk of harm. Vaccines should be mandatory. Period. No questions asked. Enter Chris Christie. While in England, Double-C said “there has to be a balance and it depends on what the vaccine is, what the disease type is, and all the rest.” He added, “Not every vaccine is created equal and not every disease type is as great a public health threat as others.” Uh oh. He’s officially thrown down the gauntlet. And in the UK no less, he crucible of globalist groupthink. Wow. Sit back and watch the fireworks now. This podcast. Herein I explain how the anti-vaxxers are immediately being marginalized and labeled as the newest crop of loons. Exhibit A: Jenny McCarthy. Remember you always attach someone who attracts derision to a cause you loathe. I describe the memes, the theories and what you should pay attention to to form your own opinion and worldview.